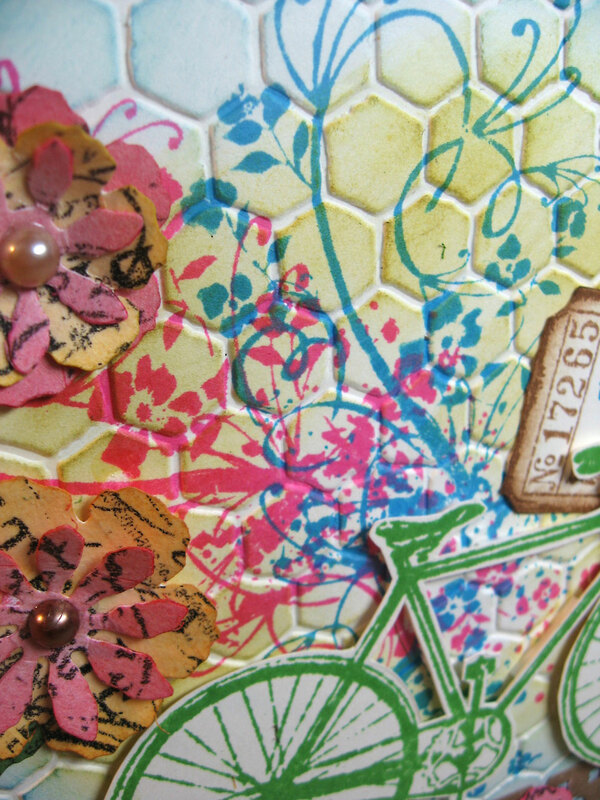 Although I'm a huge fan of the dark earthly color pallet when using Tim Holtz stamps & products, I am also a bright color person. Love those bold brights! So when Ranger came out with the Summer Seasonal Distress colors, I knew in an instant I had to have them. Be sure to check out Tim's blog post to check out the video and see the new colors in action. Yesterday I made this card with the new colors: Mowed Lawn, Salty Ocean, and Picked Raspberry (love those names) then added a touch of Mustard Seed. Who says Tim Holtz products are masculine? Not me! I've said it before and I'll say it again, the Tattered Flower Garland die is one of my all-time favorites. 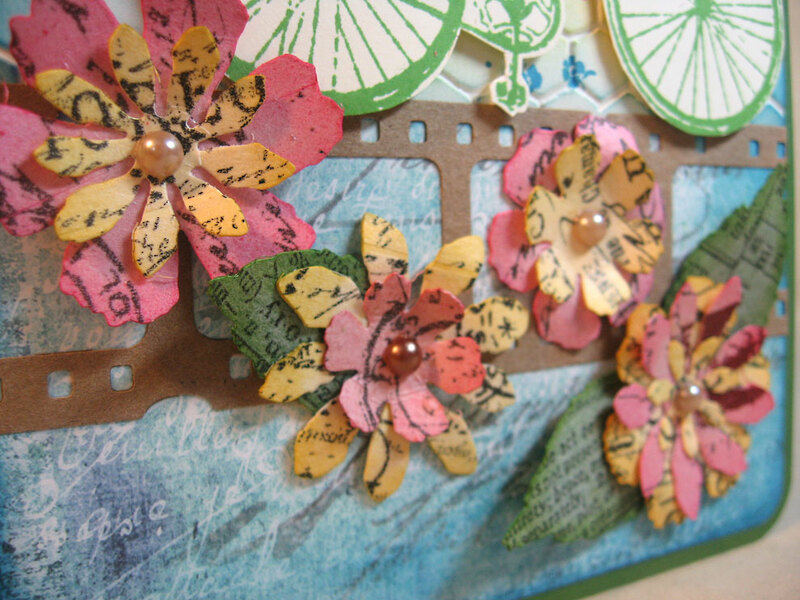 Here I created the flowers by first adhering tissue tape over bright-colored card stocks in pink, green and yellow, then ran each through my Vagabond and layered up the leaves and flowers, giving them a bit of a curl for dimension. I added pearl gems to the flower centers. Rather than a fancy punched border, I thought it would be interesting to use Tim's Filmstrip Frames die for a different look. 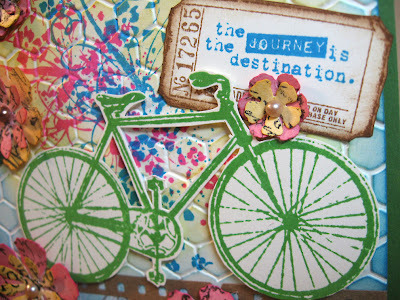 This great bicycle is from the Stamper's Anonymous set called "Pen and Pencil" (CMS072). A good sharp Xacto blade helps make nice clean cuts in those tight spaces. The ticket and phrase are from "Odds and Ends" (CMS 100). 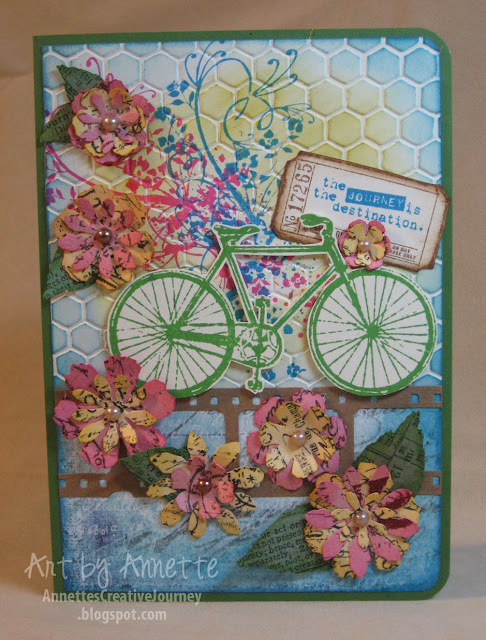 For the background I first stamped the floral flourish onto card stock. That comes from "Artful Flight" (CMS 069). Then ran the piece through my Vagabond using the honeycomb folder from the Texture Fade called "Bubble and Honeycomb Set." I purposely used the raised area of the hexagon side, rather than the outlines for this effect. I finished it off with a light rubbing of Mustard Seed over the raised areas. If you haven't gotten your Summer Distress Inks yet, what are you waiting for?! You can get them right here. Love what you've done with the Summer inks! They're not my usual palette but I'm really excited about them. I don't have them yet, though, because Ranger delayed the shipping to my local shop for some unknown reason, and I'm holding out to buy from there. Very Pretty! Love the texture and the flowers. Love this bright and cheery card!! Just perfect for summer. Wow! This is very summery! 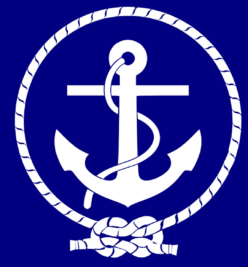 Those are my kind of colors! Your project turned out really nice. Definitely summer. Love the new summer colors too! Mine are on order, so hopefully they will be here before fall! I love your card. So bright and cheery. This is sooooo pretty! I like the floral flourish behind the bicycle - that adds colors & patterns to the entire piece!